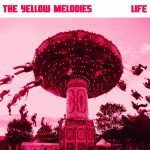 Spain’s The Yellow Melodies have been on my radar for quite some time, thanks to our friend Wally at The Beautiful Music. I think I first fell in love with their tribute album to the Television Personalities back in 2012, but they’re back with a brand new album titled Life. I’ve been jamming it quite a bit the last few weeks, and today you get your chance to get your hands on the LP. If you press play below you’ll find an album filled to the brim with charming melodies and indiepop delights; it’s a complete gem from start to finish. I could go on and on, but who needs my words…you just need the songs below!